installing RAM cleaners or anything software related. One of the best things that’s visible about your device/smartphone is its physical body and then the screen/display when the phone is unlocked or powered on. so soon, protecting it becomes paramount. Wether you have the trending $1000 iPhone X, the beautiful Samsung Galaxy Note 8, the smart looking Samsung Galaxy S8, the Mi Mix 2 or one of the cheapest phones around, you need to start protecting it from now if you haven’t.If you have any of the above devices or the very fragile Galaxy Edge devices with curved screens and glasses around, you should’t use it without a protective case. There are two very important parts that could get physical damages easily and there are the phone’s body and the touch sensor. Most smartphones, especially popular and devices get a lot of wonderful, durable, and eye catching cases as soon as the devices are announced. If you have got an Apple iPhone, Samsung, Huawei, HTC, Google phone, LG, Xiaomi, Motorola, Lenovo, ASUS, Verizon or even the Chinese smartphones like Tecno, Itel, Innix,Gionee etc, there are so many smartphone protective cases available out there to choose from. When you want to get a case for your smartphone, you really have to get something that is durable and wouldn’t even cause scratches on your phone. Most cheap cases do that.Below are tips to help you get a good protective case for your device. 1. Buy only original, durable cases from retailers around you, from popular shops or even online. 2. The best all round body protection case for your device is the 360 degree protective cases. It covers every area of your smartphone, so when it drops, the protective case gets all the hit and scratches. 3. Most 360° protective cases come with a glass screen protector to protect the touch screen from scratches, liquid and a whole lot of stus that aren’t supposed to get into it. Using a 360° protective case with a screen protector keeps your smartphone’s back, front, edges and touch screen completely safe. 4. No matter your style or how gorgeous the smartphone case looks, don’t buy a case that is slippery or doesn’t give you a ram grip on the device. Using a slippery case will put your device at a high risk of always falling down, won’t rest on at surfaces and can easily be snatched from your hand by thieves. Even with a smart case, if your phone continually falls down, you will get to replace the case sooner or even get hardware damages. 5. Smartphone protective cases come in dierent vibrant colors to match everyone’s style. I recommend you get a smartphone protective case that matches your phones color or complements it. If you use something very odd, your friends might force you to get a new one soon. If you already bought a good 360 degree smartphone case, it should come with a glass screen protector for extra protection.Well, if you didn’t get one or you just want to protect just the touch sensor, you need a good glass screen protector for your smartphone. Don’t ever buy a tempered glass screen protector that doesn’t cover the entire screen or else you might get a crack if the device falls on those unprotected sides. 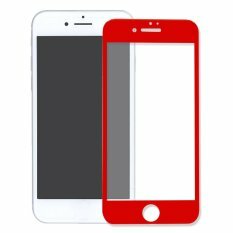 Make sure you buy the tempered glass screen protector for your exact device model. It will look good,properly and protect your device’s screen the way it was intended.